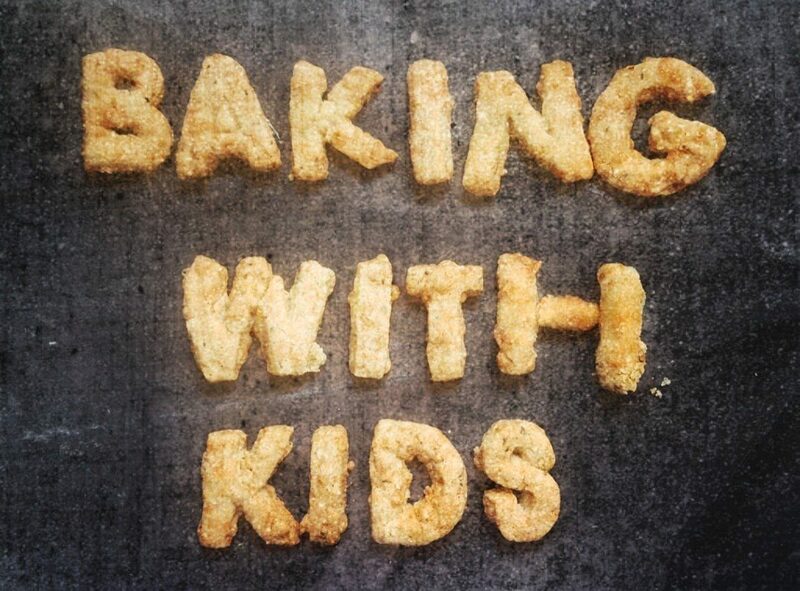 Despite what you say beforehand a lot changes when you have kids. You and up doing all sorts of things you never thought you would. You will need a 12″ by 9″ cake pan or roasting tray, lined with baking paper. Break the milk chocolate into pieces and melt in a microwave safe bowl using short bursts or 10-20 seconds, stirring well in between. Get your giant toddler friendly mixing bowl (any bowl will do) and mix your melteed butter and sugar together until well combined. Pop your eggs in and mix. Then add your flour, sugar and cocoa powder and melted chocolate. When nice and chocolatey mix in your miscellaneous bits. 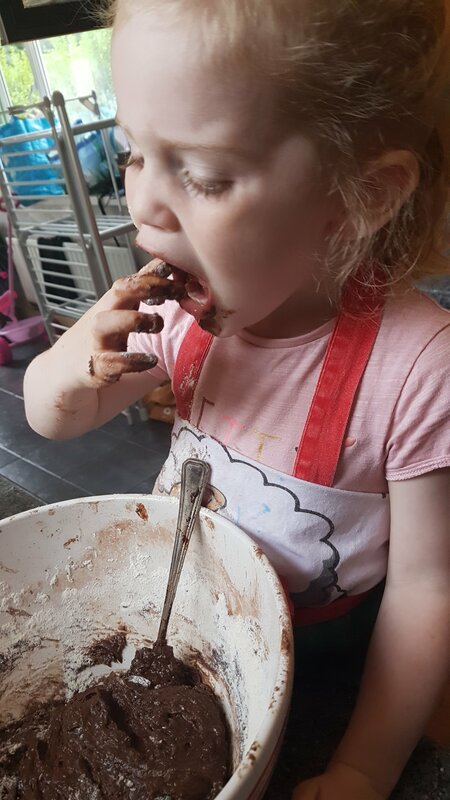 This is when your child will start picking lumps of chocolate or marshmallows out of the bowl and end up with chocolate batter up both arms. Maybe get a towel out ready? Pour into your lined tin and bake for apx 30 minutes or until crusted over completely on top and cracking! Love the idea of chucking in whatever you have got lying around, they look yummy!